I'm not the type to troll the OLCC website looking for information on new breweries and pubs. It isn't worth my time because I don't care if I'm first to cover a story. I prefer to provide some perspective that often isn't part of breaking coverage. Friday afternoon, one of my industry contacts gave me a heads up that Laurelwood has applied for a brewpub license in Hood River. "What could that mean?" he wondered. I immediately thought it might be related to the contract brewing situation. Sure enough. "We're in the process of switching our contract brewing partner closer to home," Laurelwood owner Mike De Kalb told me via email. "The Craft Brew Alliance wants to get out of the contract brewing business and Full Sail has extra capacity, so it seemed like a natural fit." Recall that the CBA has been brewing Laurelwood Workhorse and Free Range Red at its Woodinville, Wash. facility since 2013. That arrangement has been a big winner, getting those beers into six-packs of 12 ounce bottles, beer's most popular packaging. As well, the deal freed up production capacity in Portland, allowing brewers to focus on developing more specialty beers. The Full Sail partnership may be a further step in that direction. "We expect the arrangement with Full Sail to give us added flexibility," De Kalb said. "We'll have more control of the processes and outcomes. The details are still being worked out, but I expect us to to be able to release seasonal beers in six-packs, something we couldn't do with the CBA." Some are wondering why, if it's a contract brewing situation, Laurelwood applied for a brewpub license. There are reasons for everything. "This is common in Oregon. Most breweries have a brewpub license," De Kalb said. "With Full Sail, we've worked out an alternating proprietorship agreement. It's a little technical and slightly different than contract brewing. As I said, the details are still being hammered out." Moving their production brewing closer to home offers benefits. For starters, 75 percent of the Laurelwood beer produced in Woodinville (estimated at 18,000 barrels for 2015 earlier this year) returns to Oregon. Brewing that beer here means reduced shipping costs and fresher beer. It also means easier access to the day-to-day brewing operation. In case you're wondering, production of Red Elephant cans will continue at the Portland brewery. 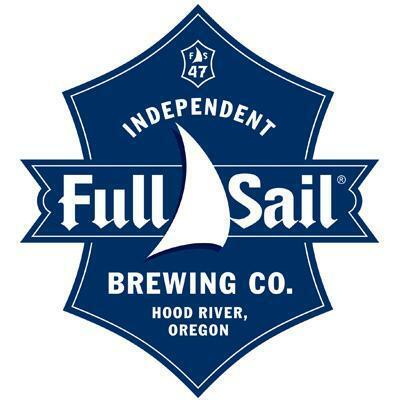 I assume Full Sail does not have a canning line. At present, Laurelwood uses a mobile canning system for Red Elephant, which has been well-received since its release in cans last summer. As for the CBA, you have to wonder why they would want to abandon contract brewing. Maybe they need the capacity for the popular Kona beers. No way do they need additional capacity for Redhook, a craft flat-liner. Perhaps they've contracted with Anheuser-Busch to brew wholly owned brands like Goose Island or 10 Barrel for the Northwest. Any such arrangement would be top secret, of course. In the case of Laurelwood, they expect to issue a formal press release when the details are fully worked out. The switch to Full Sail won't happen overnight. They anticipate Spring 2016.